And the winners will be….Check out our ACM Picks! 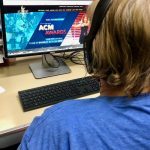 The 53rd ACMs are coming up on Sunday night at 7pm Central LIVE from Las Vegas! Watch on CBS. Reba will be hosting. There will be a ton of great performances and tributes! We have placed an all important bet for breakfast on this. SO…without further ado HERE are Lisa and ScottyO’s ACM picks….